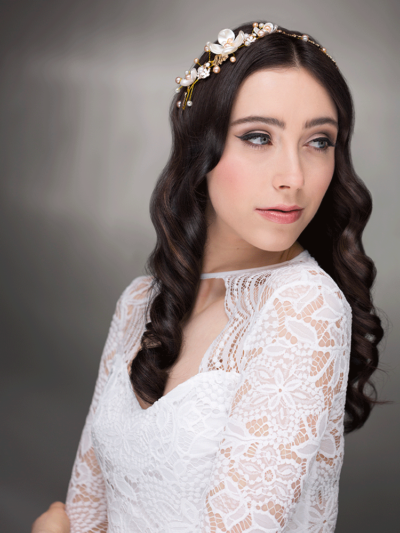 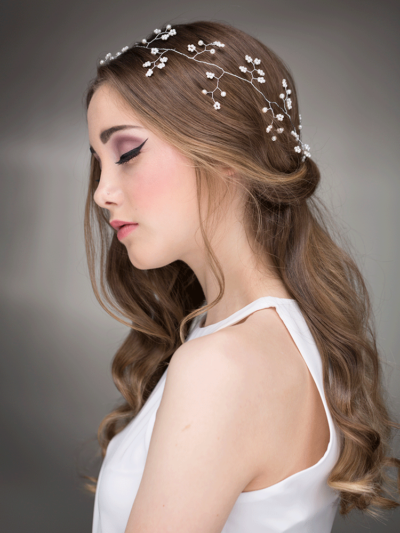 If you’re looking for a different hair accessory to complete your gorgeous wedding day look, take a peek at our award-winning wedding hair vines. 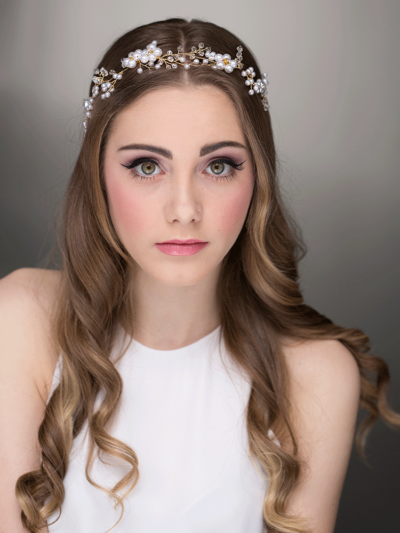 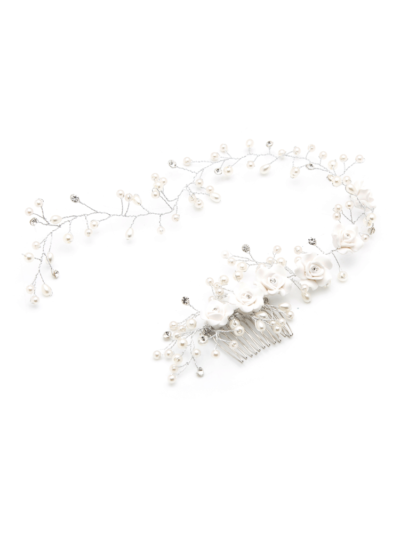 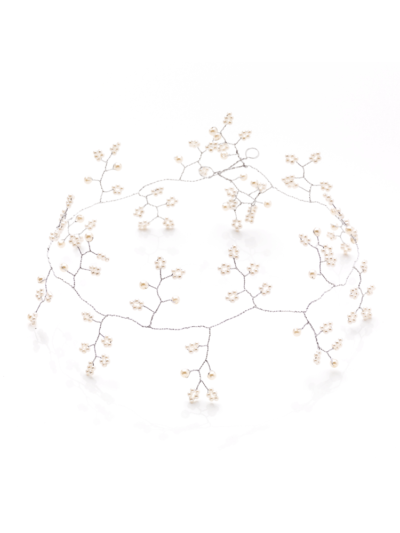 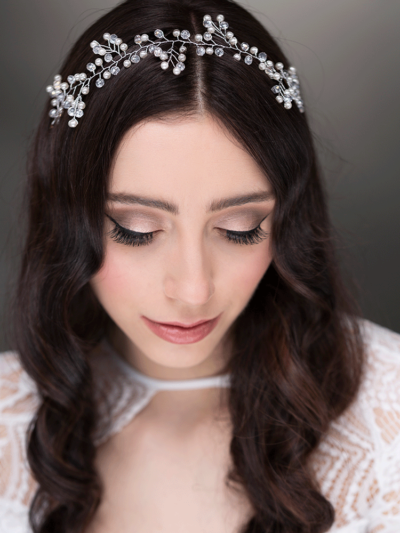 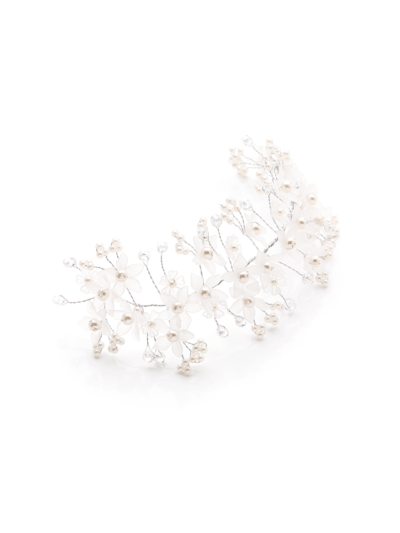 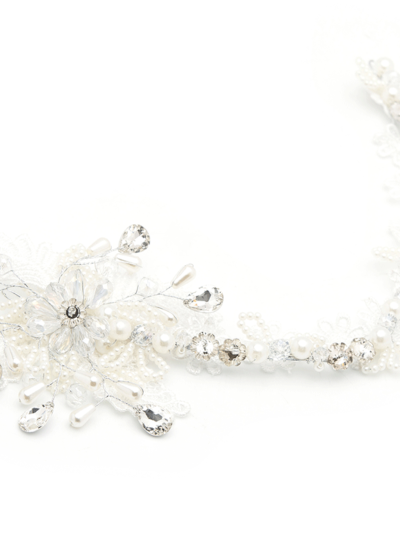 Our bridal hair vines are made of fine, flexible wire and can be worn in a variety of ways, as a headband, across the forehead, a princess crown, holding a loose chignon in place or woven into a long braid. 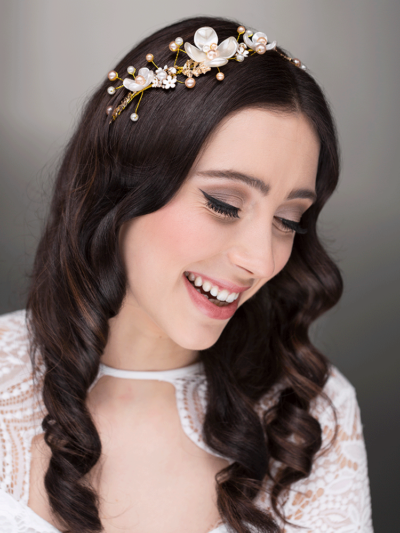 Gently secured with hair pins and/or a ribbon, our delicate hair vines look just as stunning on long, tousled hair, as on medium and shorter hair styles. 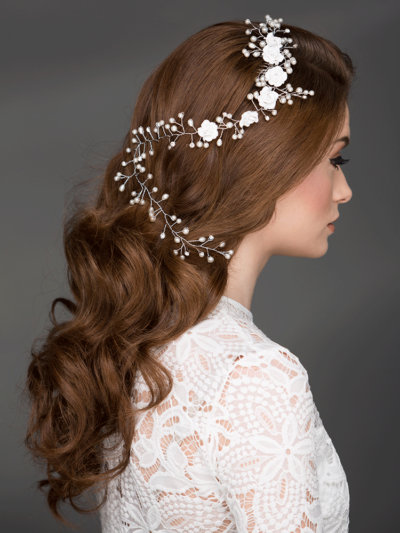 Whether you’re wearing a fairy tale gown with full skirt or flowing Grecian style dress, we have the perfect hair vine to match. 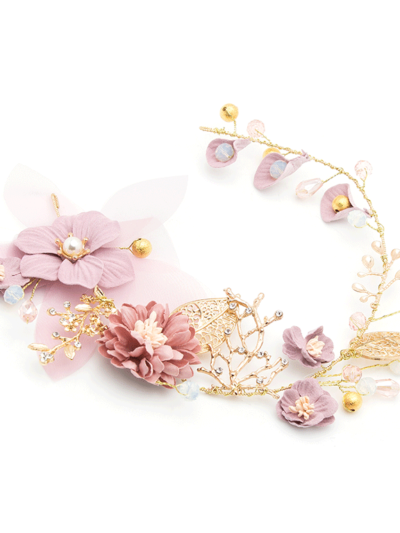 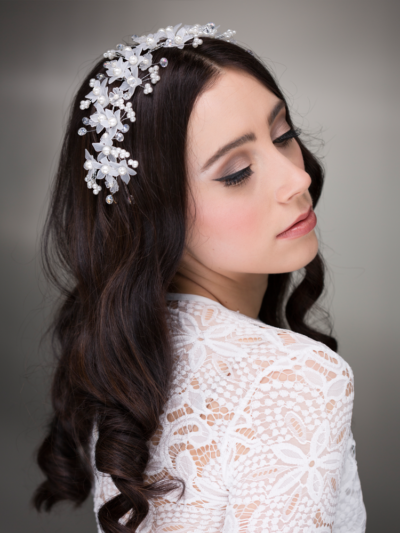 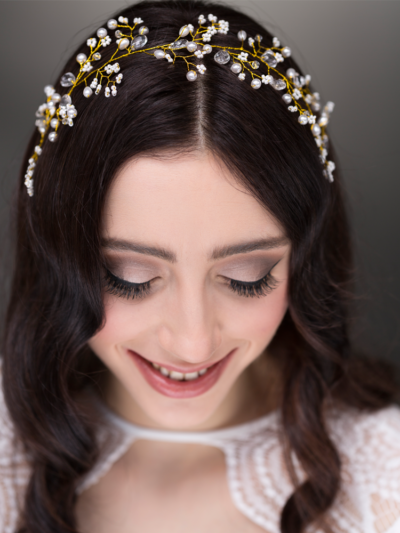 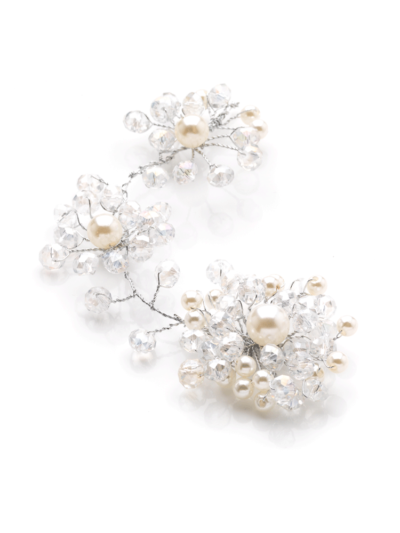 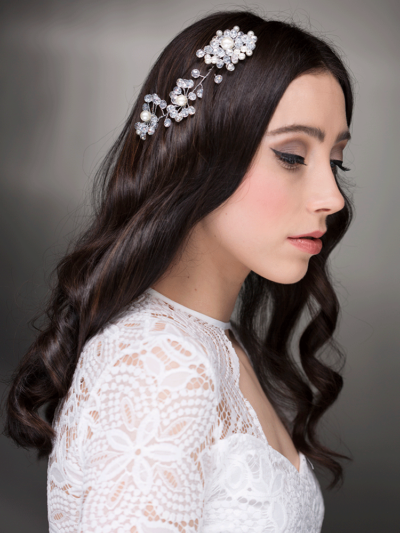 Our collection of hand-made and globally sourced hair accessories caters for every bride’s taste and style, from long hair vines entwined with miniature crystals and pearls, to luxurious frosted floral hair vines adorned with crystal and pearl clusters. 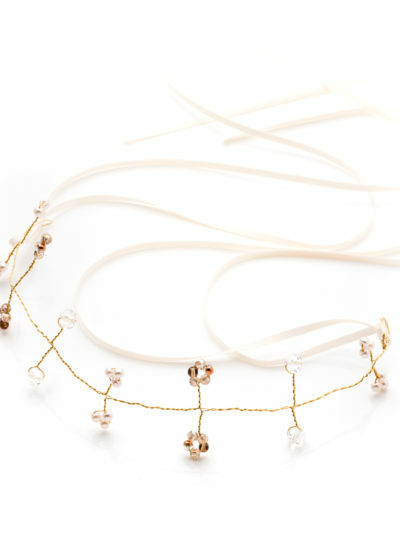 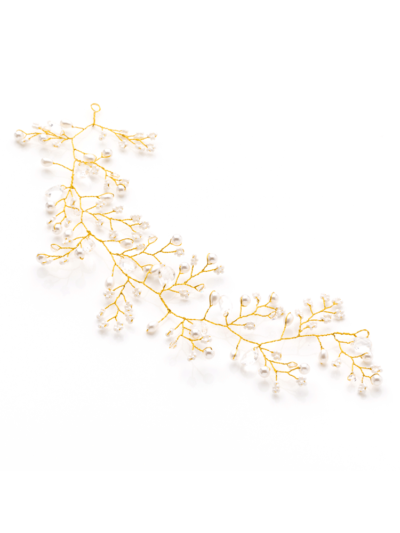 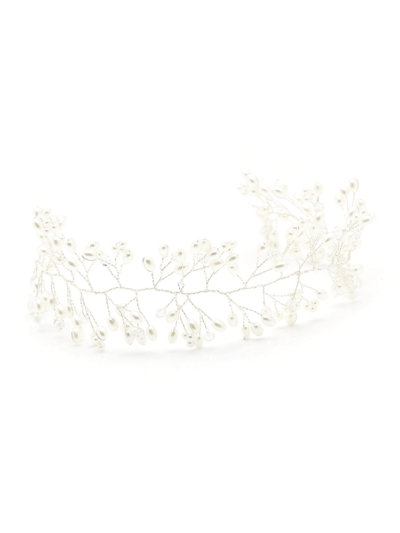 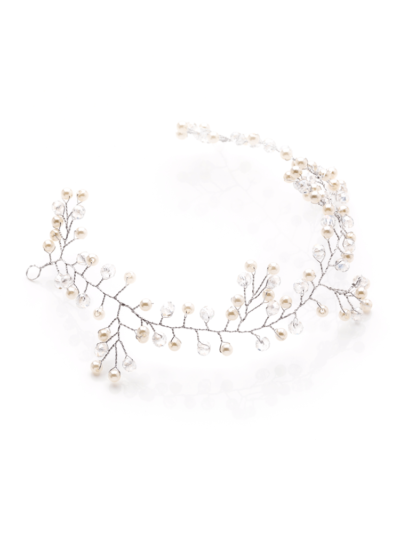 You can also opt for a hair vine to complement an accent colour in your jewellery or dress. 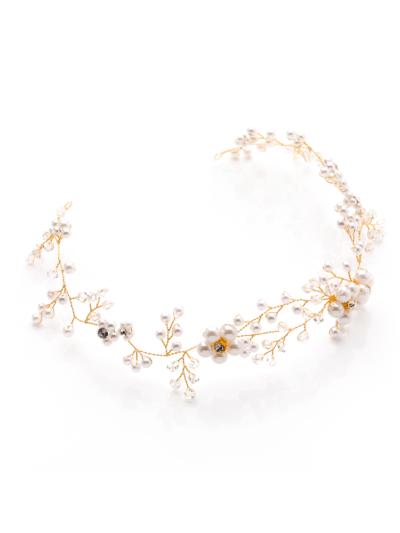 Our designs incorporate a palette of colours and textures, from warm rose gold and blush pink pearls, to cool silver leaves and sparkling crystal flowers. 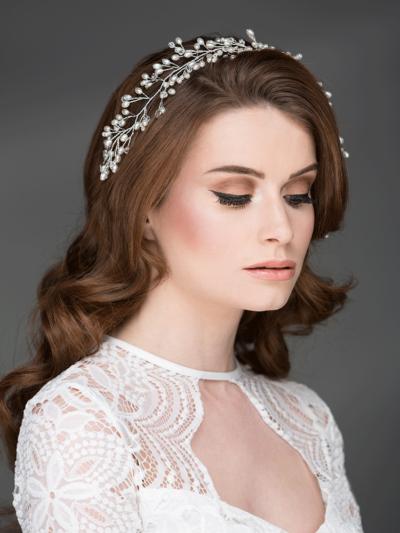 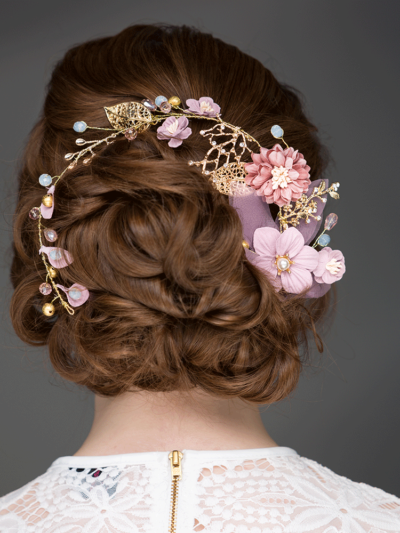 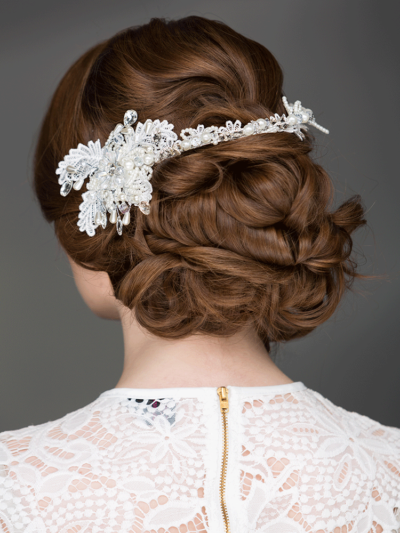 If you’d like to know more about our designer hair vines or would like styling advice on the how to wear your wedding hair vine, please get in touch here.